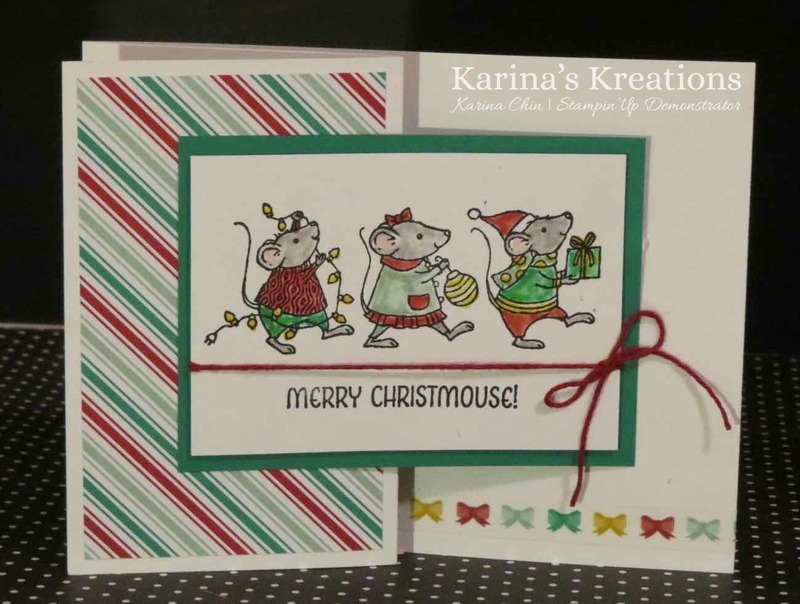 Karina's Kreations: Stampin'Up Merry Mice! 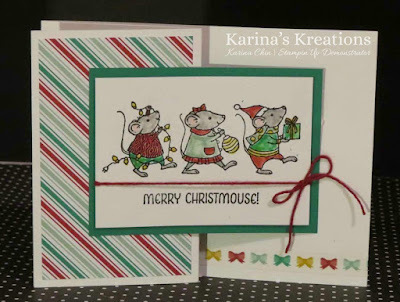 I finally bought Merry Mice #142145. I decided early on that I didn't need this set because I don't make a lot of cards that require coloring. However, after seeing all the gorgeous cards made with this set I just had to have it. It's so cute and easy to color as long as you have markers or a blender pen. 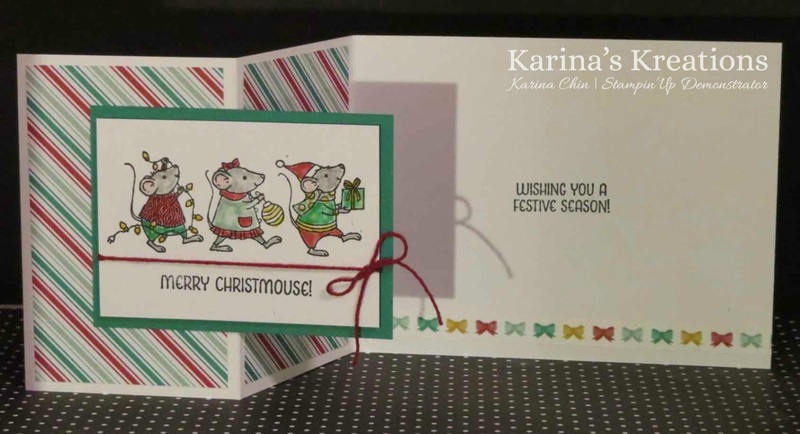 I designed this card for an upcoming teen class on Nov 19 from 6:30-8:30? What do you think? I wanted a fancy fold card so I chose a z fold card. I used the Presents and Pinecones Designer Series Paper 141986, Presents and pinecones Designer Washi Tape #141988 and Baker's Twine Trio Pack #141999.